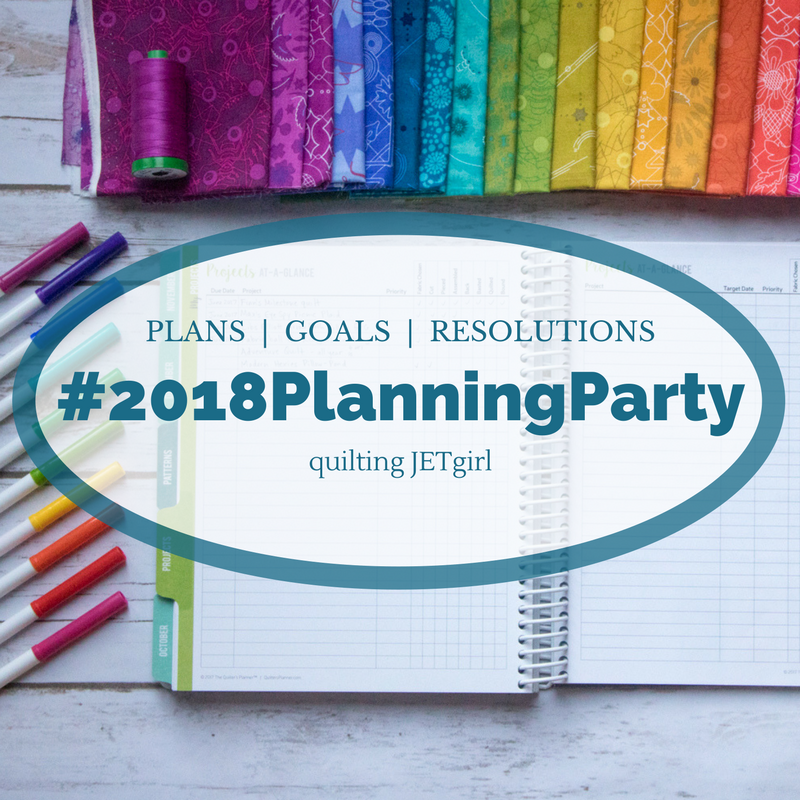 Yvonne of Quilting JetGirl is throwing a fabulous linky party. She has challenged us to look ahead to the new year and share our thoughts. As usual, I’m jumping in, just under the wire. Maybe I should add punctuality to my list of goals for the year! Participate in more design challenges and calls for proposals: This kind of goal really motivates me to try new things. With an assignment and a deadline, I’m game to try lots of new skills. Doing this alongside the rest of the challenge participants really enhances the learning experience for me. Sew from my stash – In the last few months, I’ve unearthed lots of planned projects (read: piles of fabric) and so many fabrics I had forgotten about – fabrics I was dying to own at the time, but made the mistake of organizing them into the back of my fabric closet, behind a handful of totes holding more fabric. My ultimate goal is to sew completely from my stash, except when I’m completing a sponsored project or custom order. If I absolutely need to buy something to get the project just right, I will. That said, I’d love to use more of the beautiful fabrics I already own. Garment sewing – Toward the end of the year I made two knit shirts. They are super comfy and such a joy to wear. There’s just something about wearing a garment you made yourself. I have everything I need to make another knit shirt, two cotton blouses, three cotton tank tops, and the one I’m really afraid of – a wool coat. I’m determined to make at least one of each this year. Continue to develop and discover my voice – I’ve had so much fun sewing and sharing with all of you this year. There is so much inspiration to be had. It pushes me further as a quilter, a new blogger, and as an artist. I look forward to trying new techniques, honing my pattern writing and photography skills, and blogging more in an effort to share and reflect on what I’m up to. That’s it for now. I’m sure I’ll come up with lots more as the year goes on, but I’m happy with this as a starting place. What are your goals for 2018?